For more than 25 years, Dr. Allen Rutberg has been working with urban and suburban communities struggling with how to manage their conflicts with thriving populations of white tailed deer. As his field research on the use of contraceptives for controlling deer populations has progressed, it has triggered strong reactions from different stakeholders. 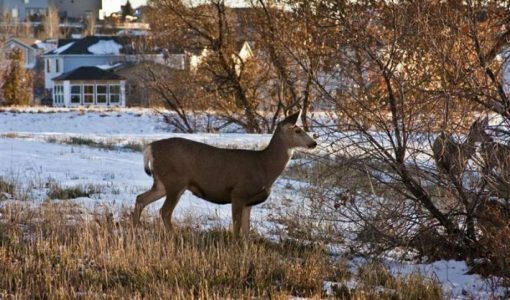 He will consider these responses as he discusses the current prospects for widespread management use of contraception for urban and suburban deer. Q- Is artificial contraception illegal in MA. If so why? What needs to be done to make it legal? A- Deer contraception is not illegal in Massachusetts, but at this time would have to be carried out under a scientific collection permit. Before management application of suburban deer contraception can become routine, it will be important for MassWildlife and other state wildlife agencies to set up a process by which communities could apply for special management permits. It’s my personal opinion that such an application process ought to be supported by a revenue stream to the state wildlife agencies. Q- To what extent can local laws (for example, preventing feeding wildlife) help to prevent/resolve conflicts? A- Local ordinances banning deer feeding, for example, are good statements of community values but in practice are difficult to enforce. Such feeding usually occurs on private property, generally out of public view, and it’s hard to show intent. In some of our past projects, we’ve used private deer-feeding sites as darting locations, and taken advantage of the opportunity to gently persuade deer-feeders to cut back. Q- Were all does on Fripp Island receiving PZP? A- About 90% of the does on Fripp Island were receiving PZP by the end of the study. The animals there were pretty accessible for darting. A- 50 deer per square mile would be unusually high for most of Massachusetts, but densities that high and higher are relatively commonplace in suburbs in the mid-Atlantic states. 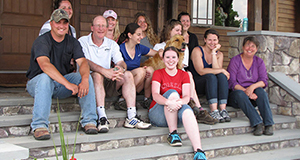 The 2014 densities at Hastings-on-Hudson were estimated from camera-trapping data. I’m confident it was pretty close – we captured 70 individual females over 4 years, and we didn’t get them all, so once you add males and fawns it gets you to 200 pretty quick.